In 1869 Cyrus Reed Teed (what a name! ), a physician and alchemist, was working on a dangerous experiment that invloved high levels of electricity. During this experiment he was badly shocked and passed out. While unconscious Teed had a “divine illumination”. A beautiful woman appeared telling Dr. Teed the secrets of the universe and that he was a messiah. Upon waking Cyrus vowed to change his scientific and religious beliefs. From then on he would go by the name of Koresh, the Hebrew name for Cyrus. 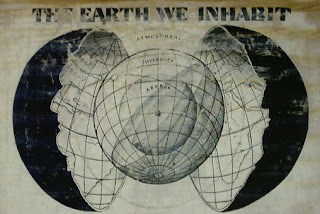 Teed founded Koreshanity on something similar to the Hollow Earth Theory, or as Teed called his version – The Celluar Cosmogany. This was the idea that humans live on the inside of the planet and not the outside, gravity does not exist therefore we are held in place by centrifugal force. The sun is a electromagnetic battery revolving in the universe’s center on a 24-year cycle. When we see the sun, moon or stars, they are actually reflections. At the time of his vision Teed was in New York, he gained a group of followers and they eventually moved to Chicago. There Teed had an epiphany, he would move to Florida and create a utopia for him and his people. 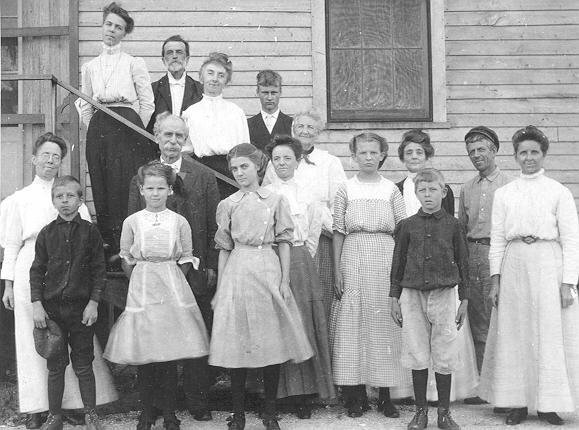 So in 1894 the Koreshan Unity moved to 320 acres in the small town of Estero and began building up Teed’s vision of a “New Jerusalem”. 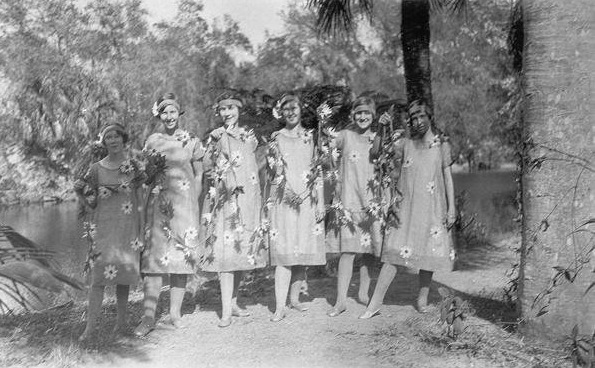 Between 1904 – 1908 the settlement had over 250 members and was at its height. They established a bakery, printing works, sawmill, boat works, cement works, hostelry, steam laundry, post office and general store. In 1987 Teed tried to prove his Hollow Earth Theory using a device called a Rectilineator, a straight line beam running along the Earth’s surface. 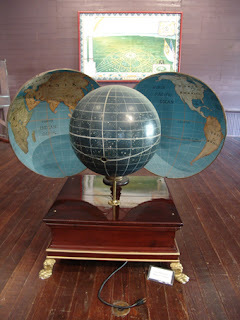 If the experiment worked, it would show the Earth’s surface curved upward. The Rectilineator was only 12 feet long so it had to be moved and calibrated section by section in order to repeat the experiment over a four mile radius. The experiment took five months but at the end, the instrument had touched the Gulf Of Mexico exactly where Teed had predicted, proving to himself and his followers that his theory was correct. 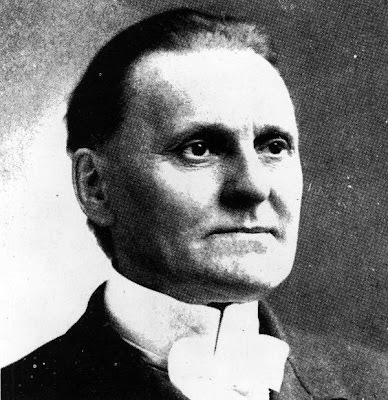 Teed had many great expectations for his settlement, he envisioned 10 million people joining The Unity. They put on plays and concerts, they even formed a Progressive Liberty Party to run against the surrounding area’s established Democrats in the election of 1906. This ordeal eventually lead to an altercation between Teed and some men from Fort Myers. During the brawl he sustained injuries that he never fully recovered from, and on December 22, 1908 he died. Teed had told his followers that he was immortal and that upon his death he would be resurrected. Members awaited his return but by Christmas day their illusions of immortality were shattered and the county health officer demanded the body be buried. 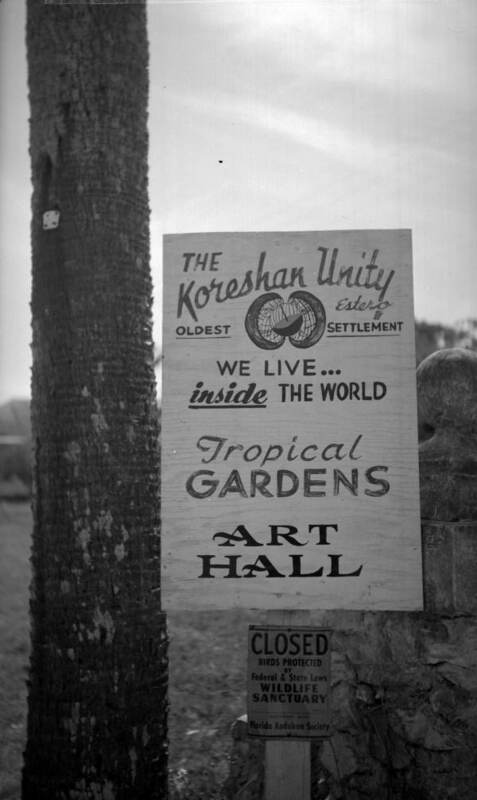 Teed’s failure to rise from the dead took a great toll on the Koreshan community. They began to lose faith and many of the younger members left. There were struggles to decide who would suceed Teed as their leader and members fractured into groups. Around three dozen members stayed at the settlement for the next 30 years. 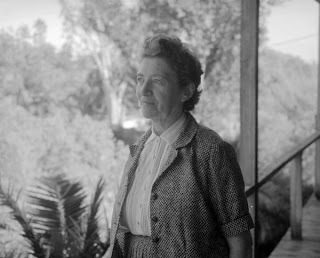 In 1940 thirty five members remained and a woman named Michel Hedwig who had fled Nazi Germany began to reorganize the community and the settlement had a brief revival. 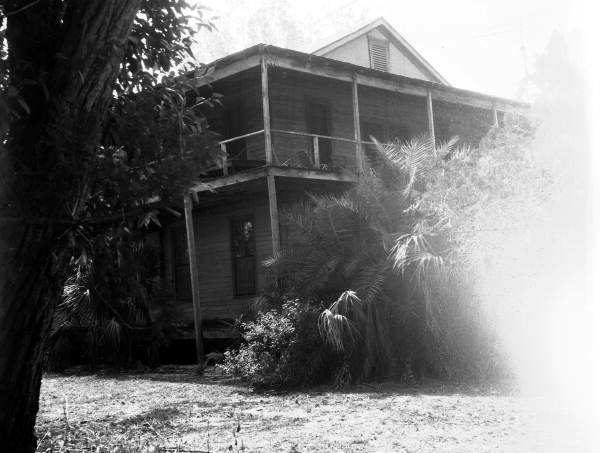 With only 4 members left in 1960, Hedwig turned over the 320 acres to the State Of Florida. Today the Koreshan site is on the National Register of Historic Places as the “Koreshan Unity Settlement Historic District”. Many of the buildings have been restored and the land is kept very well. There are even camping grounds only a few hundred feet away from the site. 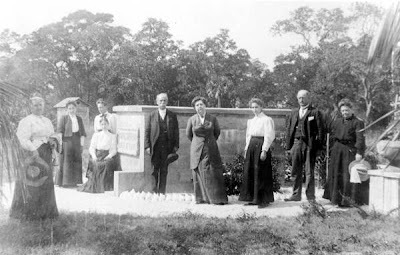 According to the park’s website this upcoming February 3 & 4th for only $10 you can take a candlelight Ghost Walk and experience some moments from the lives of Koreshan pioneers. On February 25th you can have lunch made from authentic Koreshan recipes served to you by the 7 ladies of the Planetary Chamber, entertainment provided!